Rae Carruth was convicted of conspiring to murder his pregnant girlfriend, Cherika Adams, in North Carolina in 1999. Rae Carruth, the former NFL wide receiver who conspired in the 1999 murder of his pregnant girlfriend, was released from prison on Monday and plans to start his new life in Pennsylvania. The ex-Carolina Panther served 18 years and 11 months at the Sampson County Correctional Facility in North Carolina in connection with the death of Cherica Adams. Investigators said Caruth had offered an associate and nightclub owner $5,000 to kill Adams, who was eight months pregnant with his child at the time of the shooting on Nov. 16, 1999. Authorities determined Carruth used his car to block Adams' vehicle while the shooter pulled up beside her and fired four shots. Adams injuries caused her to slip into a coma, and she died the following month. Her child was delivered prematurely with brain damage and cerebral palsy as a result of oxygen deprivation. Carruth, who was acquitted of first-degree murder and spared a life sentence, allegedly hired Adams' killer because she refused to get an abortion, according to prosecutors. 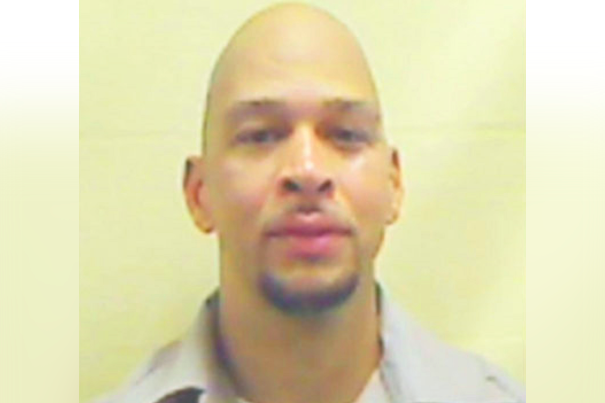 Officials with the Pennsylvania Board of Probation and Parole confirmed to WBTV in North Carolina that Carruth was placed under their supervision in accordance with the Interstate Compact for Adult Offenders. Carruth indicated last year that he wanted to be involved in the life of his son, Chancellor, and make peace with his caretaker, Cherica's mother Saundra Adams. He offered Adams an apology for accusing her of lying about him in interviews during the time of the trial and his imprisonment, but vowed earlier this year to leave the family alone. It's not clear where in Pennsylvania that Carruth will reside under state supervision. He said he's unsure what to expect now that he's served his sentence.